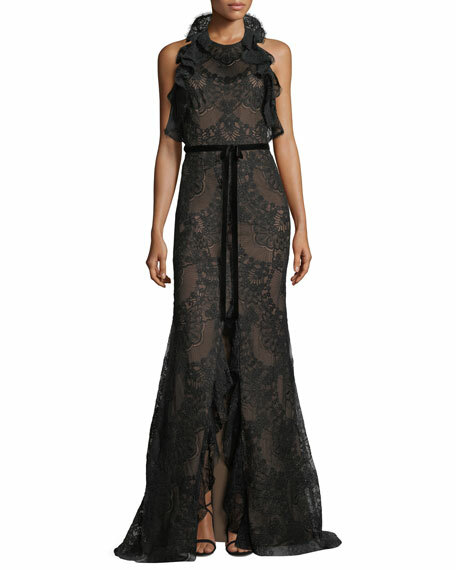 Marchesa Notte lace gown with cascading ruffle trim. Velvet ribbon tie at waist. For in-store inquiries, use sku #2421865. Exclusively ours. 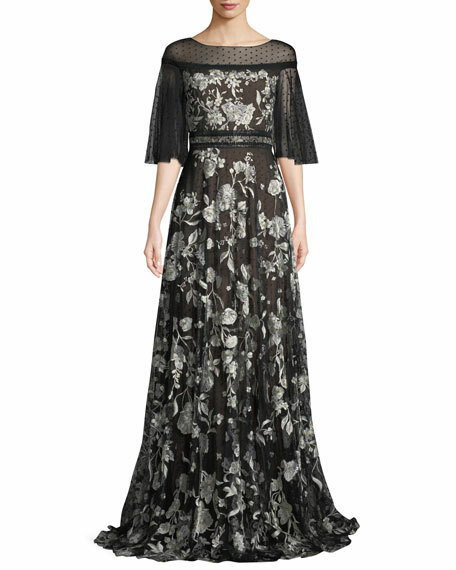 Badgley Mischka Collection gown with floral-embroidered sheer lace sleeves. Stand collar frames narrow V neckline. Short sleeves. Fitted princess seams. Mermaid silhouette. Floor-length hem. Hidden back zip. Polyester/nylon self. Cotton/polyester combo. Imported. 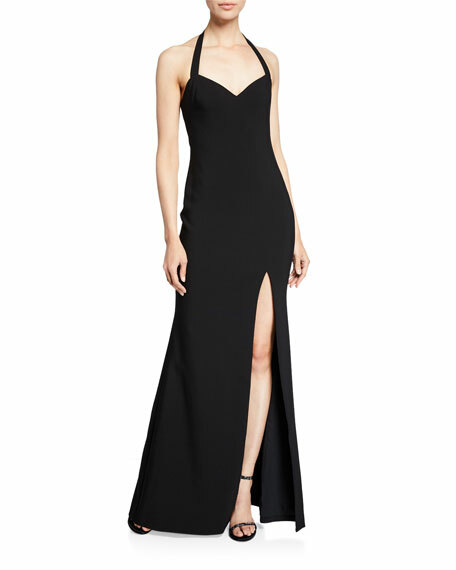 Likely "Claire" gown with thigh slit. Approx. 52"L down center back. Sweetheart, halter neckline; buttons behind neck. Sleeveless. Column silhouette. Front left thigh slit. Floor-length hem. Hidden back zip. Polyester/rayon/spandex. Polyester lining. Dry clean. Imported. 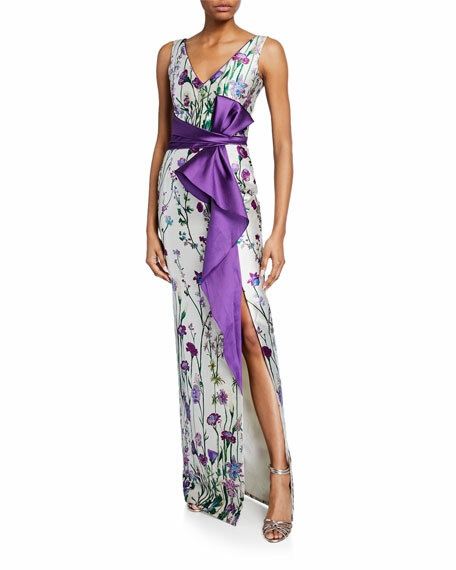 Marchesa Notte floral-printed mikado gown with draped belt and front side slit. V-neckline and back. Sleeveless. Draped belt accent. Column silhouette. Left thigh slit. Floor-length hem. Hidden back zip. Polyester/silk. Made in United Kingdom. Marchesa Notte embroidered flocked tulle gown. Bateau neckline; button keyhole back. Short flutter sleeves; sheer yoke. Lace trim at waistline. A-line silhouette. Hidden back zip. Floor length. Puddle hem. Nylon self. Polyester lining. Dry clean. Imported.